Resistance training, also known as strength training, is proven to make your body stronger, increase your muscle mass, and boost your bone density and metabolism. This kind of exercise is an effective weapon against obesity, diabetes, and some of the problems commonly associated with aging like bone fractures and falling testosterone levels. If you've never participated in resistance training, it can be difficult to know where to start. Gyms can be intimidating, and without proper equipment, developing your own resistance training regimen can be challenging. 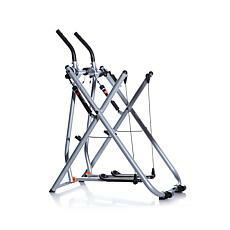 HSN has the solution with its range of resistance training equipment. Exercise kits from Tony Little, the Pilates Wheel, Forbes Riley Spin Gym, and Gwee Gym have everything you need to get started with resistance training. Informative DVDs will guide you through workouts that utilize equipment from the kits, including resistance bands and straps. 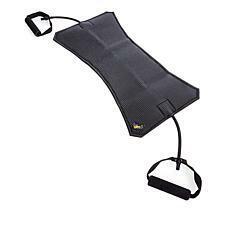 For a more free-form, self-guided workout, HSN also offers resistance bands and straps without the DVDs. 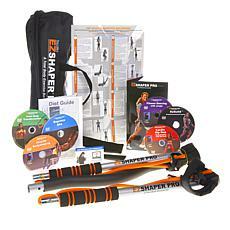 These give you the flexibility to create your own resistance workouts. Use HSN resistance training equipment for targeted workouts, or as a part of a broader fitness regimen alongside rowers and steppers or elliptical machines. Use the resistance training sets each day, and you'll soon meet a new fitter, stronger you.